August brings big news! Lukas is leaving us for a few months, and this is our little homage before he leaves... See you soon, Lukas! You can get the pdf of this comic strip here. Adi Dagan interviewed Lukas without letting him know about this special newsletter. He disclosed the most inspiring and fulfilling impressions, and also revealed what great challenges UAEM is facing... Enjoy! Can you please mention some highlights from the last three years? One of the highlights was our demonstration in Basel in 2014 - I will never forget what it felt like to stand on that bridge. It was a very symbolic moment as we dared to be loud and outspoken, right in the "lions' den" of the global pharmaceutical industry. As a movement, we should seek to create more public moments like this - this is what campaigning is all about. It`s not about just writing papers and building networks, but about taking a stand and demanding change on the streets. Another meaningful thing for me was to see our members grow and become empowered as activists - people becoming capable of shaping campaigns and bringing the different pieces together. This is true also for the organization as a whole - over the past few years, it has grown to become a real movement. It's exciting to think that we still have so much more potential to grow and develop. This brings us to the question of what kind of challenges do you foresee for UAEM-Europe? The biggest challenge for UAEM-Europe in my opinion is to get away from our obsession to create ever more perfect internal processes, procedures and structures. That`s not the way to go. Form should follow function, as the designers say. Bold activism should be our first priority. Suitable structures and processes will always fall into place. Another problem I see is that we too often content ourselves with creating and maintaining "activism infraststructure", for example meetings. We become preoccupied with administering ourselves. Instead, we should always keep in mind that our primary goal is to change actual political realities on the ground. In a broader sense, our challenge will be to unlock UAEM's potential as a true grassroots movement. A lot of this will be about getting our messaging right. There's a great quote by John Steinbeck that goes "If a story is not about the hearer, he will not listen. A great and interesting story is about everyone or it will not last.” In our context, this translates into convincing people that what we're talking about does not just affect the global South, and it's not just about a few diseases of poverty. Instead, our message should be that humanity as a whole deserves a better R&D system. In the past, our focus has been too much on charity - claiming affordable drugs for the poor. But really, we should be talking about justice. The question then is: what kind of world do we want to live in? This is as epic a struggle as you could imagine. After millennia of human suffering and unfair privileges in healthcare, our generation has the singular opportunity to revolutionize the way we collectively search for cures. Today, we can get a spacecraft to Pluto, but we can't get existing medical treatments to people who are dying. We spend billions to watch hadrons collide, but are stuck with a stone-age system for incentivizing drug R&D. How utterly scandalous is that!? We have a historic responsibility to make medical innovation a global public good. Another challenge will be to become a strong global organization with concerted global campaigns. Now that we've finally come to a stage where UAEM-Europe is a truly European organization and not just a bunch of national branches, we need to avoid building new silos. Let's keep tearing down barriers, let's build efficient and durable ties across the global UAEM movement! As we continue to grow, we should also aspire to maintain personal connections among us and spend time together. So important for forming a lively, dynamic movement! I really like the "UAEM travel" Facebook group that aims to hook up members from different countries (with places to sleep), for example. What a brilliant idea! Things like these will help us to avoid becoming NGO technocrats. Can you elaborate on the strengths that you see in our organization? One of our greatest strength is that we work on two levels simultaneously. One is the campus level, where we have achieved some tangible victories in universities such as Bergen, Exeter, Münster and more. On this level, we have traditionally done some fairly pragmatic work, trying to tweak the current monopoly based R&D system in order to mitigate some of its effects. The small-scale victories that we achieve on this level are instrumental in building credibility and momentum, and in rallying folks locally. 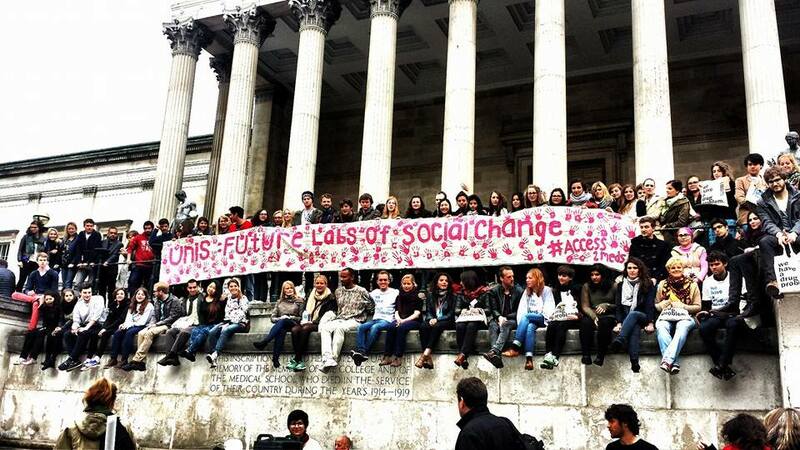 On the second level, we aim for systemic change on a global level, e.g. through our new global R&D treaty campaign. This level will require even more persistency and long-term effort. But if we manage to capitalize on our broad campus presence and get universities to join us in demanding big-picture reforms, we can be a real game-changer. As a student organization, we have the potential to be daring, creative activists. Instead, I've too often seen people wait for the perfect timing or for completion of an exhaustive set of arguments before they would launch any action. I would love to see us take risks more often, jump right into the water and engage head on with decision-makers on campuses and in governments. We should be the avant-garde in access to medicines! 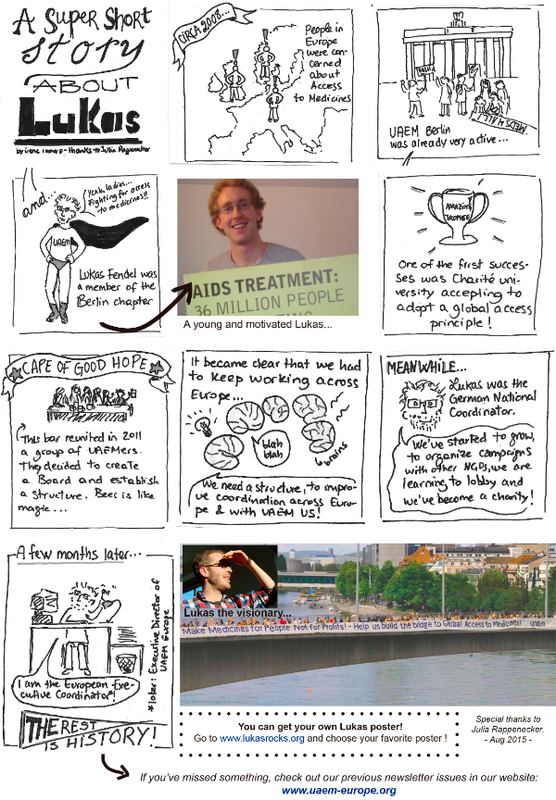 What have you liked most about being the ED of UAEM-Europe for the last three years? I love gardening and being an ED is somewhat similar to that because it`s about creating spaces for people to flourish. I would like to thank all UAEMers for contributing to my optimism about humankind. It is very inspiring, in the face of all the bad things that we see in the world, to work with people who want to change this world for the better, and who don`t give up on it. What a tremendous privilege! 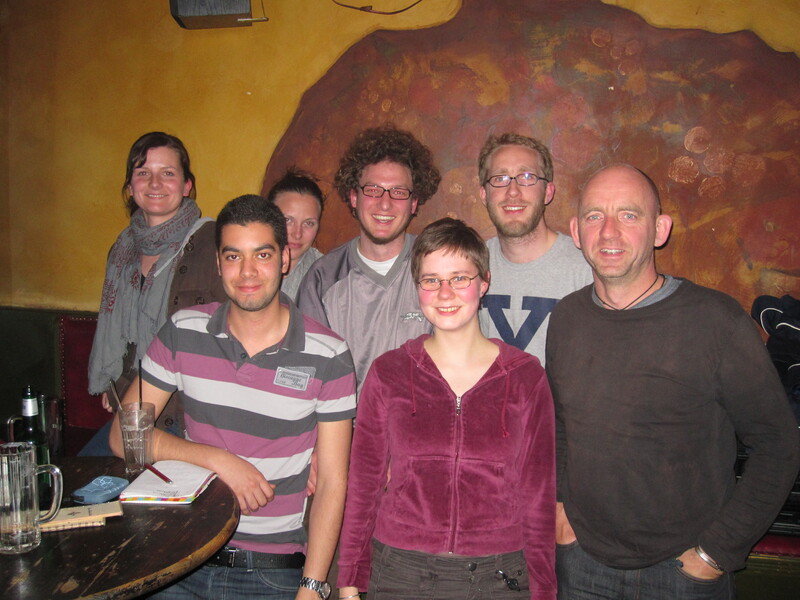 When UAEM Europe was born as a charity (Berlin, 2010). 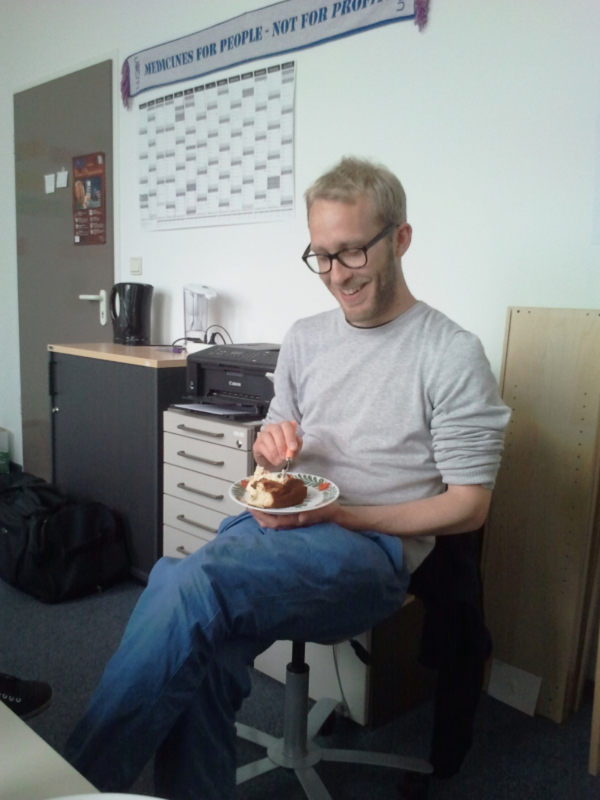 Max wrote an article in UAEM's tumblr about Lukas starting as the "European Executive Coordinator" (EEC) back then in 2012... You can find it here! 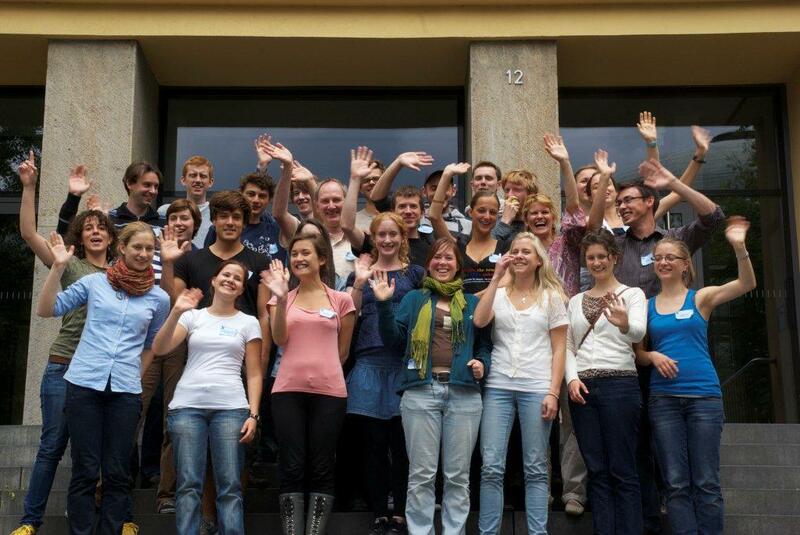 First UAEM conference in Europe: Munich, 2011! 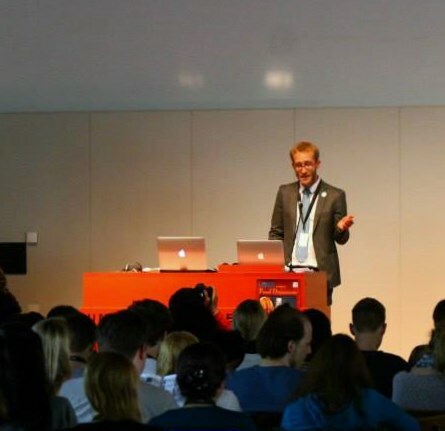 UAEM Annual Conference in Copenhagen, 2013. 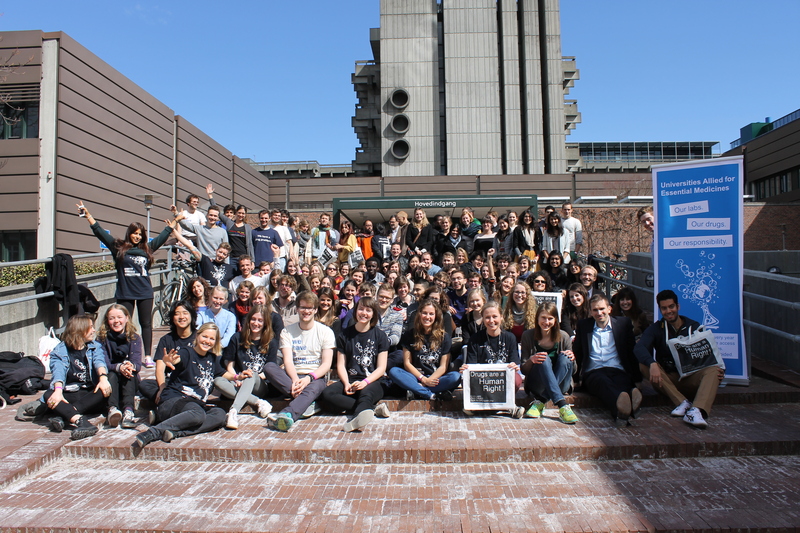 UAEM Europe's most recent conference in London, 2015. "How Lukas changed UAEM Europe? He is one of the secrets of UAEM Europe's tremendous growth". Chris and Andrea reflect on the past few years working with the great man. It is only recently that I have actively reflected on my UAEM work, and each time I do I have more and more appreciation for the work Lukas does, and the person he is. In particular, when I have been thinking about leadership he has been a constant source of inspiration. When working with him, I have been priveliged to see someone who is able to achieve the nebulous ‘leading people to lead themselves’. The first part, the easy part, is being friendly, and welcoming contributions from everyone. Lukas has never let me feel like I was anything less than his equal. Dealing with the responses requires more subtlety. By providing feedback that is more questioning than directive, he shows how much he values the opinions of students. I have never felt so encouraged to take responsibility, and hold myself accountable, as I have in UAEM. Our executive director sets an example in that regard, always reaffirming that it is the students that hold the power, that must hold the power. Finally, is something I haven’t always noticed, his courage. His courage to take tough decisions, to move in new directions, his courage to put everything in the hands of students, his courage to take the UAEM job because it was something he believed in, his courage to be honest in admitting he wants to change the world. In a lot of ways when I think back on my work with Lukas I sometimes can’t believe how much strength and perseverance he’s shown. Working in UAEM is motivating and inspiring, no doubt, but what we rarely talk about is how difficult it can also be. Our members are never 100% UAEMers, at most they are 70% UAEMers (mostly less), but foremost they are always students. When exams roll around the most important project can become secondary and emails are left to rot in our inboxes. Lukas probably felt the frustration of this more than any of us, but more than that he recognised when project leads felt irritated due to this. Through his own struggles he’s always managed to find time to encourage and support UAEMers who were feeling demoralized. He’s managed to lead us by motivating and inspiring us even at times when he quite possibly felt similarly fed up. I’ve never seen Lukas lose his temper or give up hope on us, he’s never taken advantage of his role to criticize us or exert any form of pressure on us. He’s alway led us be staying eye to eye with us, by being an example for us and pushing us to be the best version of ourselves. He never seems to forget UAEMs vision and never loses conviction to our cause. Sometimes I wonder if he even sees himself as a leader and if he recognises all that he’s done for UAEM Europe. Personally there is no doubt in my mind, that he’s the best leader I’ve ever had the pleasure of working with and for that I will always be grateful.